keeping the in a perpendicular position. * Slowly squeeze the drill trigger to begin weed removal rotation. loosens and digs into the dirt. 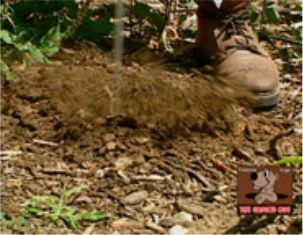 * Use the 3" disc for pilot holes or in hard clay or frozen soil. 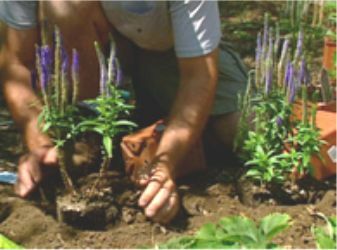 * Use the 4" disc for larger holes, such as post holes and holes for shrubs.